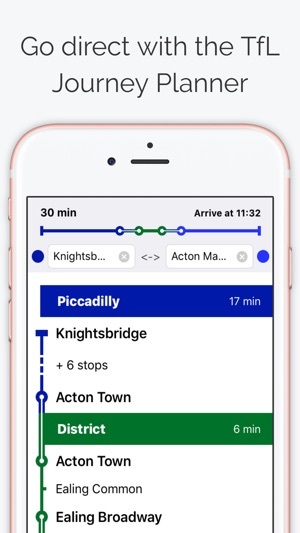 London Tube Map is the original London Tube app with TfL (Transport for London) Tube map, TfL Journey Planner, live status for all London Underground routes, London transport Maps, cycle routes and Night Tube, plus UK regional maps too. No1 in 17 countries - Top10 in 79 countries - the most downloaded London commuter app ever! 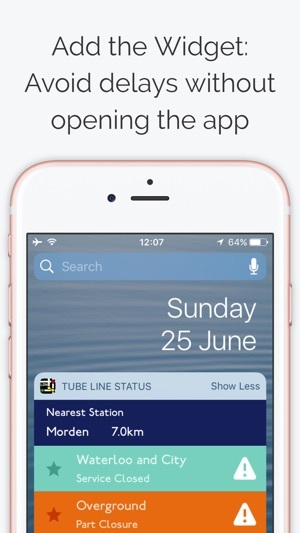 THE ORIGINAL LONDON TUBE APP, MADE IN LONDON - THE ONE LONDONERS TRUST! - Access to regional UK rail maps - Manchester, Leeds, Liverpool, Birmingham, Glasgow, Newcastle, Sheffield, Derby East Midlands, Bradford and beyond! 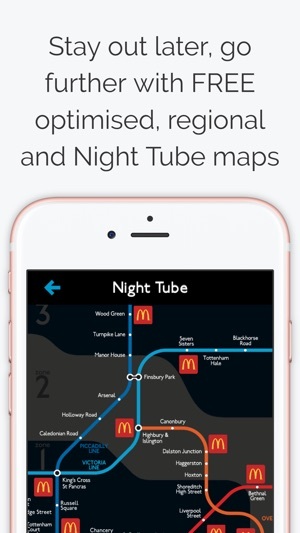 London Tube Map has had 6m downloads, meaning most tube passengers are carrying the London Tube Map app right now. 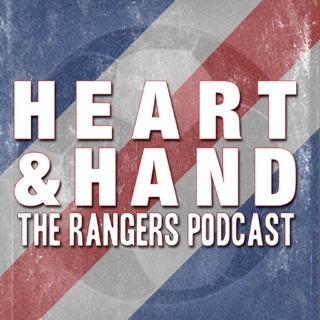 Download this app now and save it for when you need it. 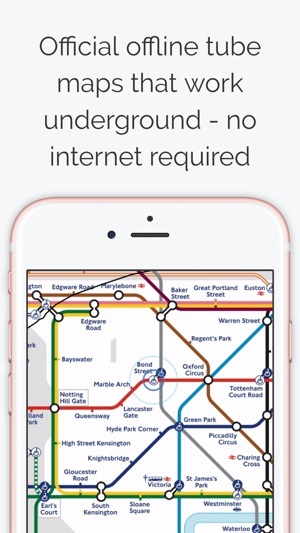 It'll work underground too, unlike some apps you don't need a connection for the map. We've reduced the size of the app, speeded up performance, and we've added a new live journey planner to the heart of main Tube map. It's everything you'll need for London! 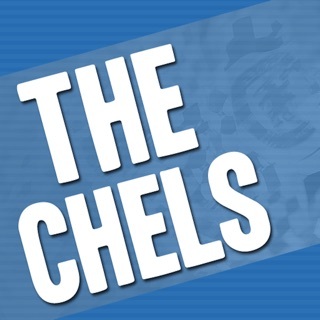 Still the Daddy of London tube apps and keeps imporoving. We got brilliant support this week during the Westminster events last year from the London team, also infoming us how we can check the lines and network status without opening the app, by adding the widget. Did that and found a host of other things I never kenw my phone did! Can't say thank you enough. 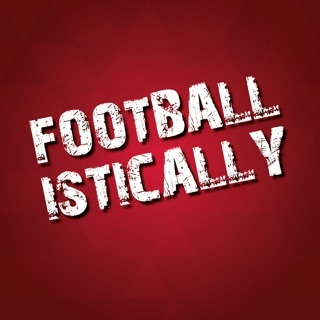 Way above the call of duty and another reason why this locally managed tube app is still top of the heap and more trustworthy than the rest, made in gawd knows where. Thanks for the review! We're a small London team who use the Tube daily, working hard to do our best for fellow Londoners! 1st choice for the Tube!! Simple, trouble-free London Tube app that gives me offline map options and an online planner from TFL. Also has other UK regional maps, so all in all it's a more concisely a public transort app, better than some of the other more gimmicky ones I've tried! Thanks for the review and the suggestions. We're already looking into them!